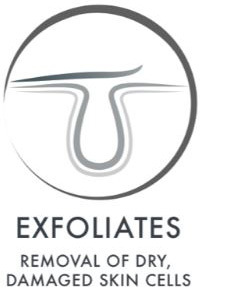 Professional exfoliation treatments naturally trigger skin’s wound-healing phase: a protective process that keeps pathogens out, yet impedes skin’s receptiveness to letting restorative serums in. This prevents active ingredients from penetrating beyond the skin’s surface where they will have the most impact. Because the window of time to maximize topical serum efficacy is extremely limited, a precision timed-delivery of serum infusion is critical for maximum penetration. 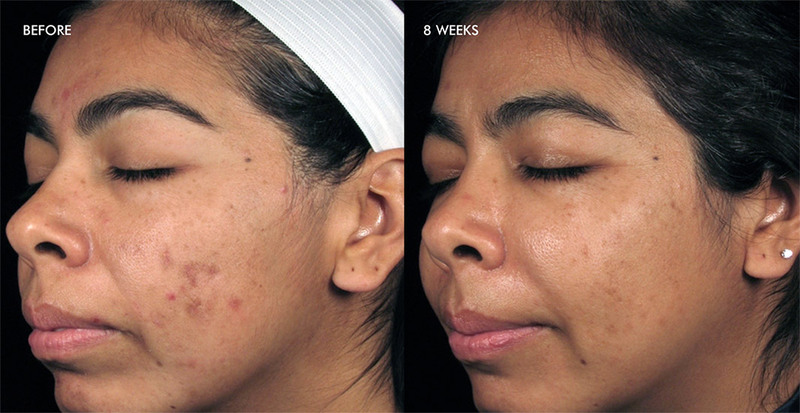 Similar to microdermabrasion, the Silkpeel Dermalinfusion treatment provides non-invasive mechanical exfoliation that removes the outermost layer of dead skin cells from the treated area. 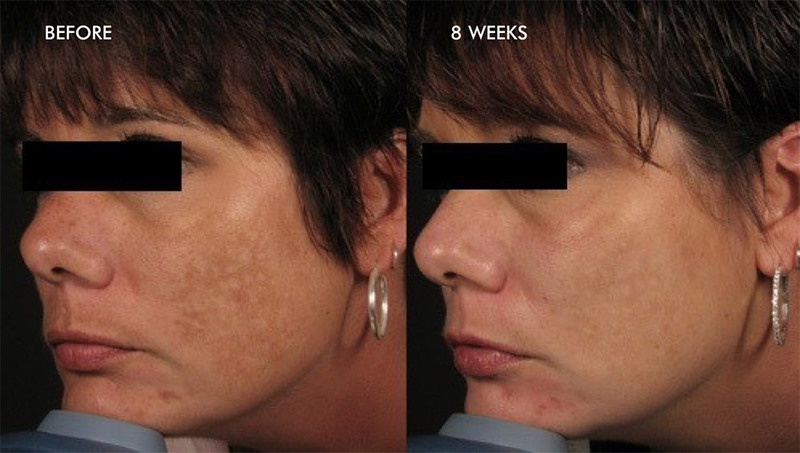 However, Silkpeel differs from traditional microdermabrasion treatments by utilizing a patented technology that combines medical grade diamond treatment tips with a pneumatic vacuum to gently exfoliate and extract while infusing condition specific topical solutions into the skin at the same time. 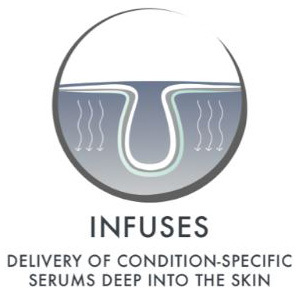 DERMALINFUSION’S customized efficacy lies in its line of specifically formulated Pro-Infusion serums. Each highly-potent serum is the product of advanced research in skincare science, developed for exclusive use with the SilkPeel Dermalinfusion system. The Pro-infused serums contain a variety of vitamins and nutrients. 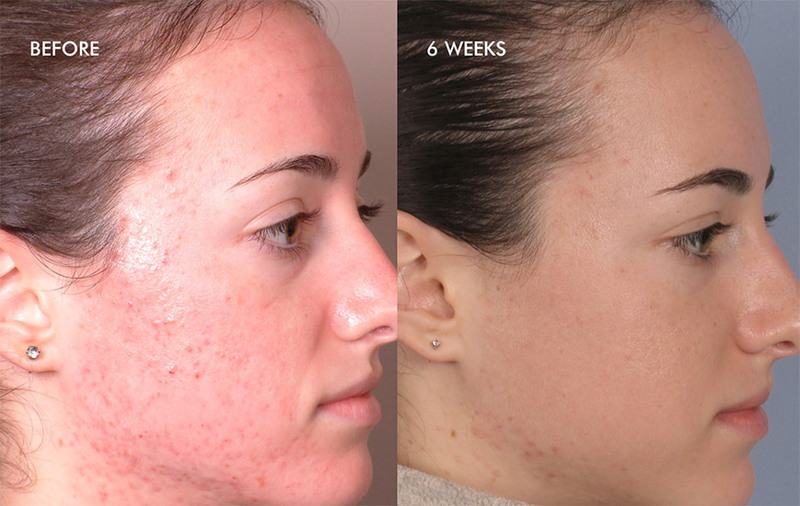 Used used alone or in combination, the serums can be customized to treat individual patient concerns such as hyperpigmentation, acne, photodamage, and dehydration. 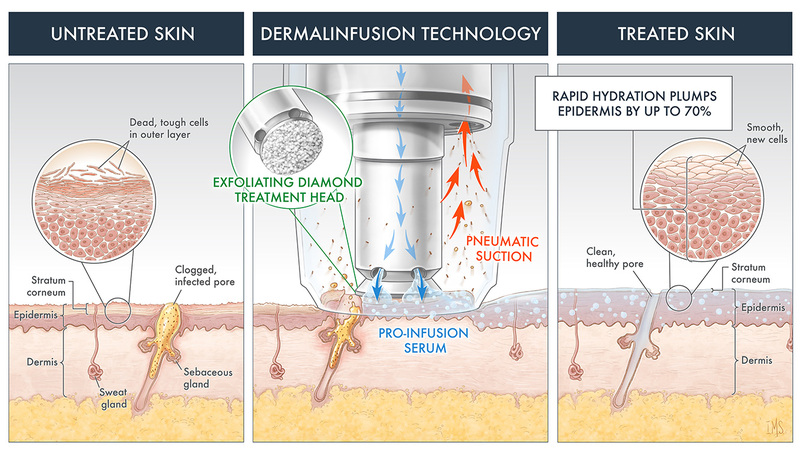 By eliminating time gaps between exfoliation and serum application, DERMALINFUSION’S patented 3-in-1 technology infuses skin with serums at the moment of exfoliation before the wound-healing phase begins, when skin is most penetrable. Skin experiences maximum penetration of active ingredients at optimal skin depths for enhanced serum absorption and retention receptivity at a deeper level. With Dermalinfusion’s distinctive simultaneous 3-in-1 technology, plumpness, volume, hydration, tone, and texture are optimized. Distinctive recessed diamond tip exfoliation removes dry and damaged cells for unparalleled resurfacing and rejuvenation. Closed-looped vacuum pressure removes damaging dirt, debris, and bacteria while deeply cleansing. 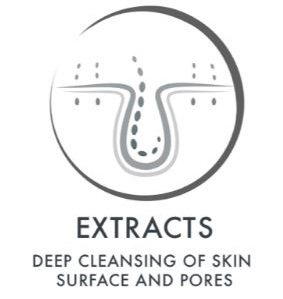 At the exact point of exfoliation and extraction, serums with therapeutic and aesthetic benefits are simultaneously driven deeper into epidermal layers at skin’s peak moment of receptivity for enhanced health and visible results. To start your journey to healthy GLOing skin book your Silkpeel Dermalinfusion treatment today by calling GLO Antiaging Treatment Bar in Calgary at 403-455-0444 or contact us to book a complimentary consultation. 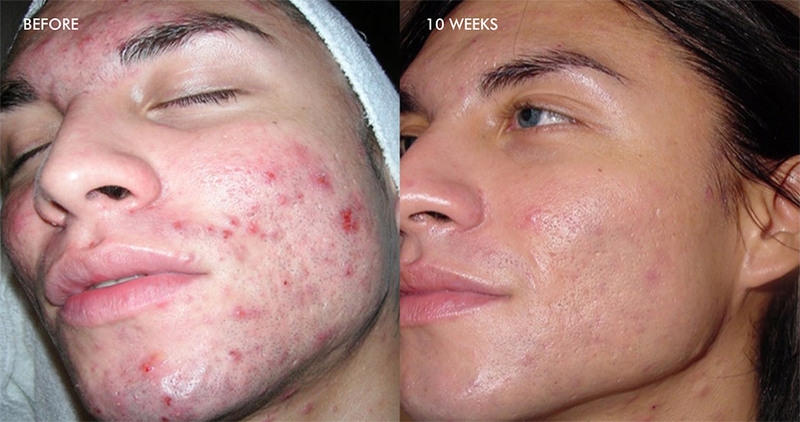 GLO provides a variety of medical grade facials in a boutique spa setting.